It’s essential to study music theory if your child is a serious music student. Learning music theory is a key component to learning to sing or play any instrument—It makes learning anything musical much easier. For music students who are ages 8 to 12, we offer Alfred’s Theory for Young Musicians. 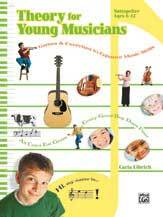 There are two ways to do the Essentials of Music Theory for students who are ages 10 and up. 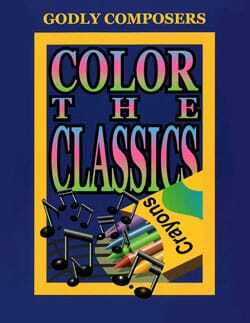 The first way to get the Essentials of Music Theory for those who want a book version with a teacher’s answer key, student books, and Ear Training CDs. 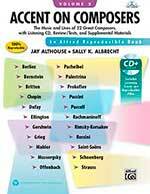 The second way, if you have an independent learner who wants the book method, is the Essentials of Music Theory Complete Self-Study Course. This choice works best if you have only one student who wants to use the book method. See a sample at the publisher’s website. 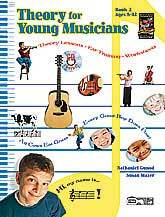 Theory for Young Musicians Book 2 with CD has theory lessons, ear training lessons, and worksheets. Listen to samples at the publisher’s website. Theory for Young Musicians Book 1 with CD has theory lessons, ear training lessons, and worksheets. 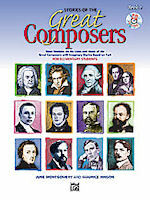 Listen and view samples at the publisher’s website.